Happy August! As summer rolls on, construction season continues. The Bridge Street resurfacing project is nearing completion. As the road is reinstated with line painting, you will see some differences from what it looked like prior. While the travel lanes will not change, we are taking the opportunity to better identify the pre-existing cycling lanes, adding lanes to the main channel bridge and highlighting the lack of cycling lanes at the intersection of Bridge Street and Dickinson Street. As a result, Bridge Street will now have identified cycling lanes on 90% of the road. The portion without will be marked and signed indicating to both cyclists and drivers that they are to share the road near Dickinson Street and in front of Orchard View on the Rideau. These improvements were the result of much discussion with the Manotick Village & Community Association, many residents in and around the village as well as a cycling club that I had the pleasure of speaking with which frequently uses Bridge Street. Keeping on the construction theme, the Roger Stevens Drive sidewalk project is slated to begin on August 22nd. This will include a complete reconstruction, and minor relocation, of the sidewalk that runs from Fourth Line Road to the seniors’ residence. I am currently exploring opportunities to pave the west-bound shoulder of Roger Stevens Drive in order to creatively extend the “sidewalk” to Craighurst Drive. Also in North Gower, the Library has re-opened following a renovation and it looks great. 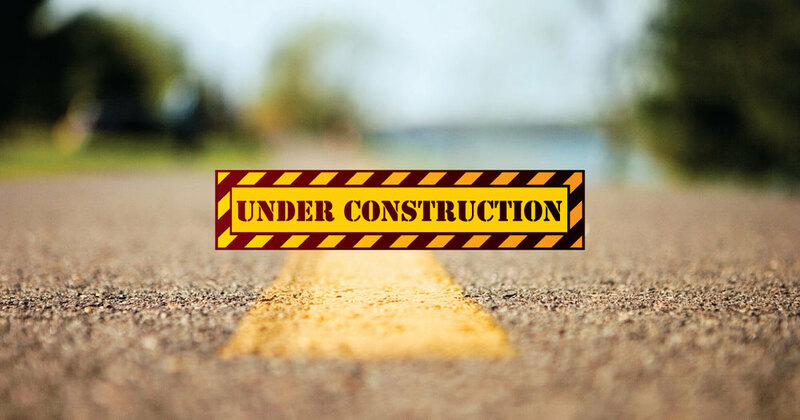 In the Goulbourn area, with Moodie Drive complete and the resurfacing of Ottawa Street and Royal York Street underway, I also wanted to let you know that Garvin Road will be closed between Huntley Road and Joy’s Road, beginning Monday, August 8th for a period of five weeks. The closure is required for the replacement of an existing bridge culvert. Detours will be in place and only local vehicular traffic access will be available. Garvin Road will be re-opened to traffic by September 9th. Additionally, Dwyer Hill Road will be closed between Bleeks Road and Fallowfield Road, beginning Monday, August 8th for a period of two weeks. The closure is required for the replacement of bridge bearings, which will require jacking of the entire bridge structure. Detours will be in place and only local vehicular traffic access will be available. Dwyer Hill Road will be re-opened to traffic by August 23rd. Every now and then, we are confronted with issues that are far more complex than others; issues that transcend government jurisdictions and divide communities. The prospect of a supervised injection site is one of those issues. Recently, Ottawa Public Health (OPH) released a public consultation survey on enhancing harm reduction services in Ottawa. This survey gives residents, community partners and businesses an opportunity to share with OPH their thoughts on enhancing harm reduction services in Ottawa. Please note that the survey is anonymous, confidential and voluntary. The results of this survey will be used when making decisions about expanding harm reduction services, and will be made public in a summary report that will be posted on the OPH website. The survey will close on Monday, August 8th at midnight. This is a community-wide conversation and OPH wants the community’s voice to be heard to ensure that the public health needs of our community continue to be met and improved. You can complete the survey by visiting HaveYourSayOttawa.ca, or connect with OPH on Twitter and Facebook. The Province has said that Ottawa will only be home to a supervised injection site if the community wants it and Council supports it. I want to hear from you on this issue. I will tell you in advance that I very much struggle with this issue. The evidence in support of this type of facility shows that they do enhance safety among drug users. I am a big advocate for evidence-based decision making. Having said that, I find it extremely difficult reconciling the idea of supporting a facility that permits illicit drug use. Take some time, fill out the survey and you are more than welcome to contact me directly with your thoughts on the issue. At this point, there is nothing for Council to vote on so this issue is merely exploratory at this point in time. For additional information, visit OttawaPublicHealth.ca or call OPH Information at 613-580-6744 (TTY: 613-580-9656).